you might think you've learned your lesson on psychological tricks; that they probably won't work on you. 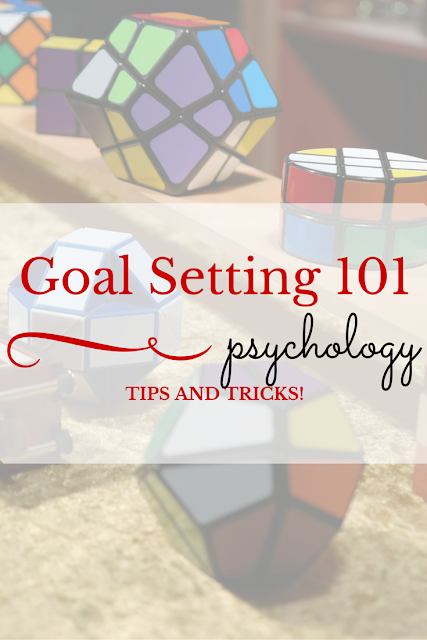 and sure, you're not white washing tom sawyer's fence any time soon, bu psychological tricks actually do work when it comes to goal setting, so use them! start on a monday, or other clear start date, like the first of the month. new year's has come and gone, but that doesn't mean the power of the fresh start is gone. starting a new goal on a monday or first of the month mentally gives you the same gratifying feeling as starting on the new year. planning helps. the more you plan, the more likely you will be to succeed. but do not have a backup plan! having a backup plan leads to procrastination and failure when it comes to goals, because you've already told yourself it's okay not to get it this first time. example: i want to lose weight by this wedding in may. but it's okay if i don't, i'll lose it by this other party i have in august. what are the odds that you'll lose it by may? none. whether you'll lose it by august is another story, but having it as a back up is just ensuring you'll miss the first goal date. bet something to lose (like money). there's a reason dietbet and other sites like it work so well. it hurts more to lose something you already have. if you bet money that you'll reach your goal and then have to pay it if you don't, you'll do anything not to lose. it's much more enticing and tangible than a mythical amount you'd win if you met the same goal. break down big goals. but you already knew that, just from reading this blog, didn't you? i hope so. 'organize the house' is insurmountable. 'organize the junk drawer' followed by 'organize the dvds' and so on, is much easier and eventually, you'll arrive in the same place. save your willpower. it's a finite resource, so don't tempt yourself to see how long you can hold out. if you're swearing off sugar, get it out of the house. if you're cutting down on beer, get out of the bar. the more you have to think about saying no, the sooner you'll run out of willpower. if you spent all night declining beers, you're going to say yes to the 2 a.m. pizza. set yourself up for success before you even start in on your goal! We Mustn't Dwell. No, Not Today.